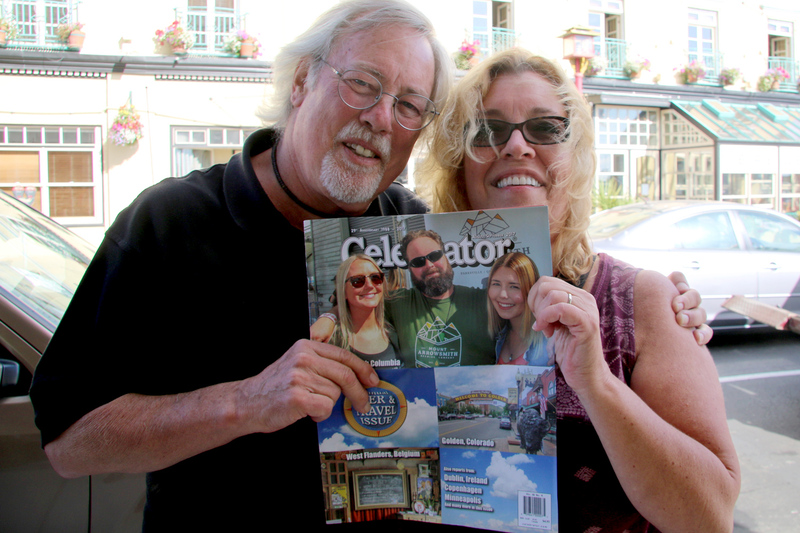 The Celebrator Brews Cruise to Alaska sailed from Seattle in surprisingly sunny weather on August 18 of this year. The biennial voyage had as its goal the exploration of Alaska’s Inside Passage, but more important, the exploration of a ton of beer! The trip included visits to some fascinating Alaskan towns and points of interest AND a good deal of time discussing and tasting some pretty amazing beers as well. Checking in to a cruise ship the size of our Royal Caribbean Explorer of the Seas is a study in massive crowd control and expeditious processing of mountains of luggage. Getting over 3,100 passengers and their stuff on board and to their proper cabins in a few hours is no easy matter. Soon we were in our cabin, rejoined with our bags. The next stop was the top deck and the nearest cocktail bar — the perfect vantage point to watch the massive vessel move out of its dock and head away from Seattle through Puget Sound to the open ocean. 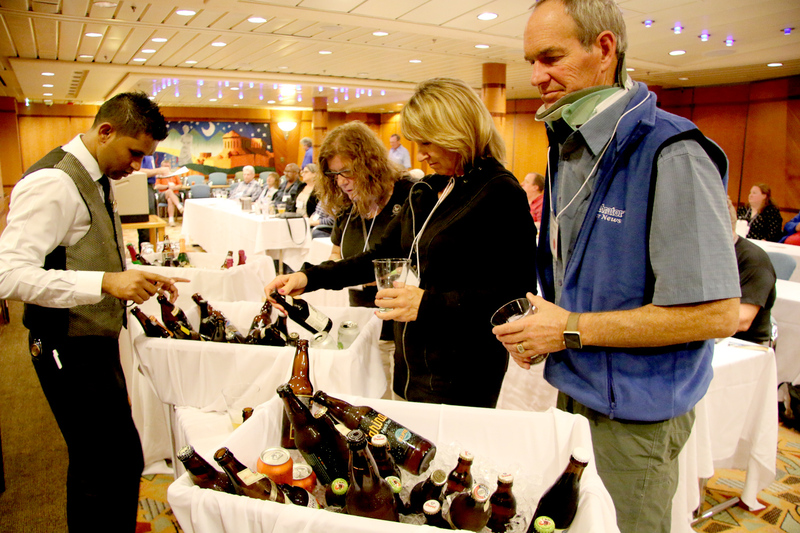 The biennial voyage had as its goal the exploration of Alaska’s Inside Passage, but more important, the exploration of a ton of beer! 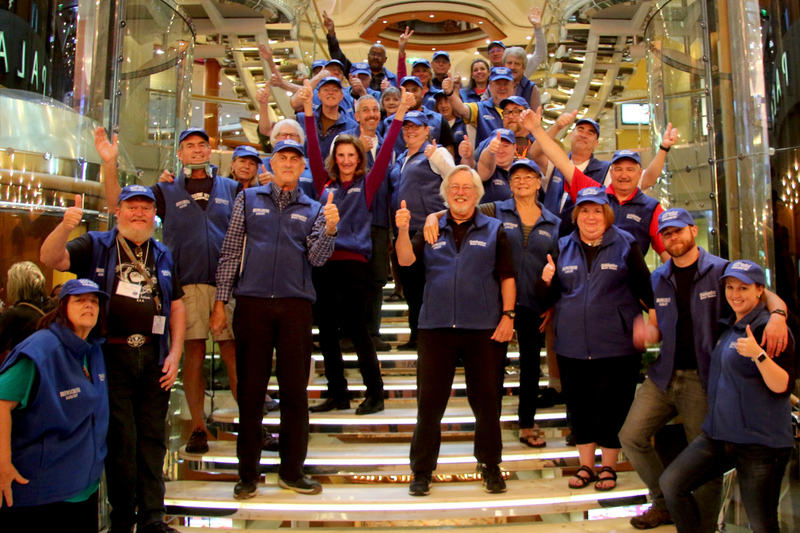 Later that evening, we had our first official gathering of all the Brews Cruise participants in a meet-and-greet at the spacious Conference Center at the bow of the ship. We shared some wonderful beer and talked about the events to come. The next day was at sea as we sailed toward Juneau — a day to explore the ship’s many offerings and discover the bars on board where our special beers were available. That evening we hosted Beer 101, our first tutored tasting, where we talked about the history of beer (with copious samples!) and the incredible variety of beer styles. 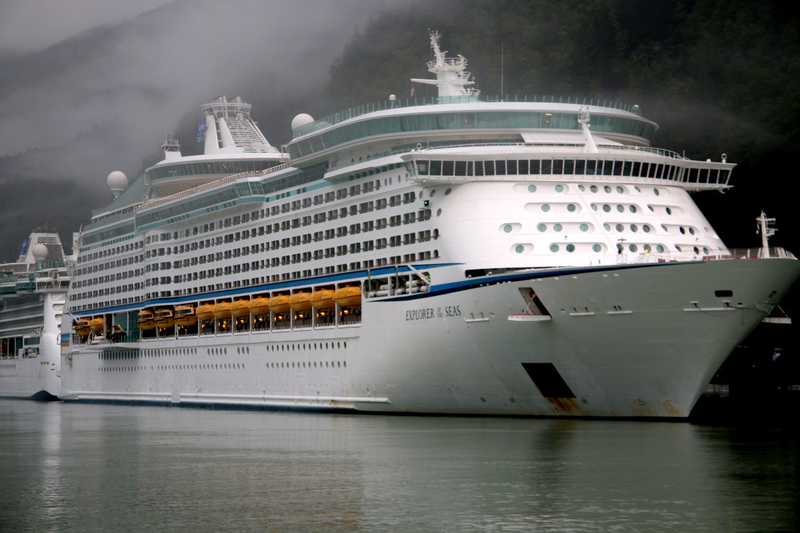 On Sunday morning, we woke up docked in Juneau, the capital of Alaska and home to the largest brewery in the state, the Alaskan Brewing Company. We were met by a chartered bus for an informative tour of the city (with not a few bad jokes from our jocular driver) and a drop-off at the Mendenhall Glacier Visitor Center. Having viewed the glacier several times since my first visit in 2008, I can attest to its astounding recession. A time-lapse video at the Visitor Center confirmed this for all to see. We boarded the bus for our highly anticipated tour and tasting at Alaska’s first and largest brewery, located in the valley to the north of downtown Juneau. 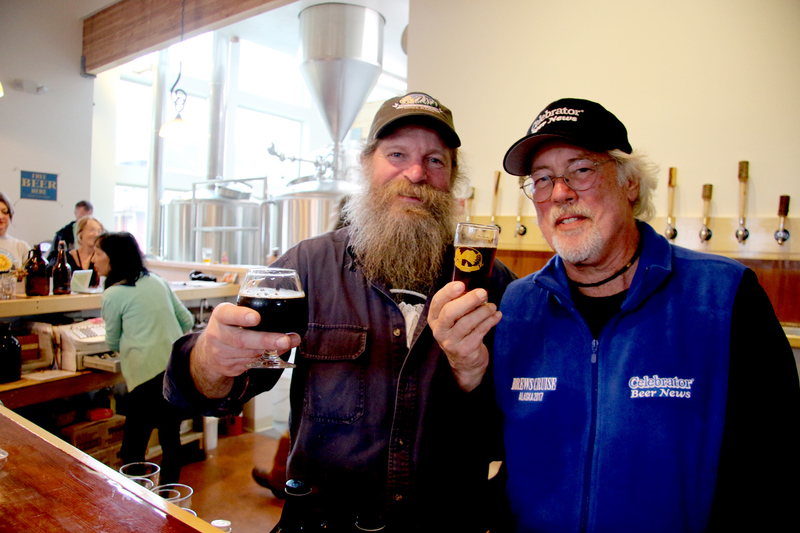 We were able to taste and discuss most of Alaskan Brewing’s offerings. 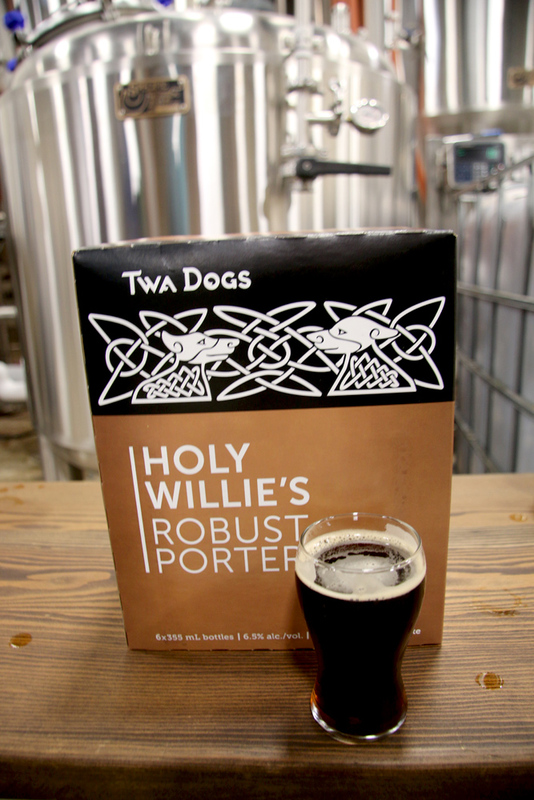 A highlight was the brewery’s fabled Smoked Porter. Delicious. Our next port of call was the historic gold rush–era town of Skagway, where the local Skagway Brewing Company was of interest to some of the group. My wife and I had lunch at Olivia’s Bistro, a pleasant change from the noisy restaurants and the brewery on the tourist strip. The halibut fish-and-chips was outstanding, as was the halibut and rockfish chowder. Good beer, too! 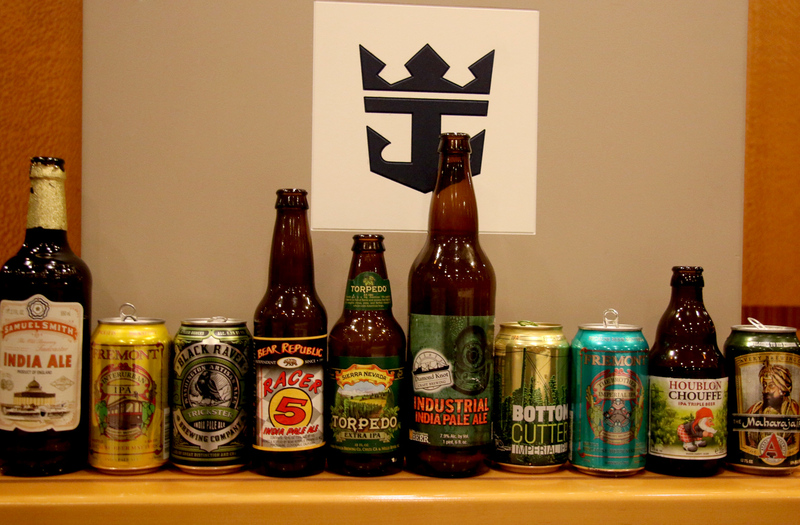 Later that evening, our tutored beer tasting examined 10 hoppy beers for our IPA Night. The hop-heads in the group were in ecstasy. Most of the Brews Cruisers signed up for the high-speed ferry to the tiny fishing village of Haines, which also has its own brewery. This 45-minute trip to Haines was truly remarkable, as we got up close and personal with Alaska’s fishing industry and abundant wildlife. The salmon were running up the Chilkoot River, which also attracts eagles and bears, making for a real-time nature experience. Our stop at Chilkoot Lake was highlighted by a sighting of a pair of three-year-old bears romping about on the boat dock. Very cool (if you keep your distance). Our next stop was the Haines Brewing Company’s new and greatly expanded facility, with a tasting hosted by Paul Wheeler, owner and brewer. In addition to some great beers, Paul and his wife, Jeanne, provided pizza! Some people know how to greet thirsty beer geeks. The Haines beers were wonderful, and the barley wine in particular was spectacular. The next morning, we woke up to a slow trip up the Tracy Arm Fjord to visit the glacier. Due to accelerated calving of some pretty big ’bergs in the water, the massive ship couldn’t get as close as usual to the glacier. It was still a magnificent sight, knowing that behind that enormous icy front was a glacier field that extended many miles from the termination point. Later that evening, our tutored beer tasting examined 10 hoppy beers for our IPA Night. The hop-heads in the group were in ecstasy. Wednesday was another day at sea for relaxation and enjoyment of our beers on board, served at the pub and the pool bar. 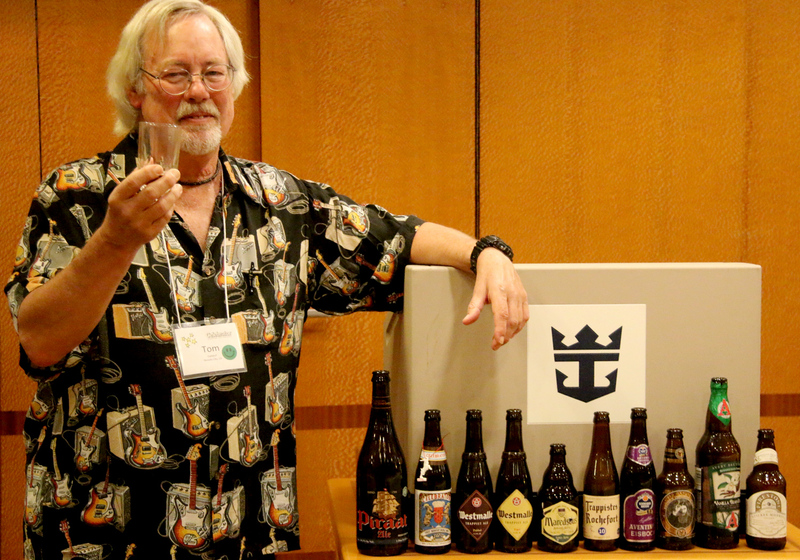 The Brews Cruise peeps gathered for our last tutored tasting — this one called Big Beers! These beers lived up to their name. We began with the stunning Van Steenberge Piraat at 10.5% abv as a “Hi, how are you?” beer. We enjoyed contrasting the Westmalle Dubbel with the Westmalle Tripel and then moved through Maredsous 10 and Trappistes Rochefort 10 and on to the Schneider Eisbock and North Coast Old Rasputin Russian Imperial Stout. Things got serious with the Avery Bourbon Barrel–Aged Vanilla Bean Stout and ended with the sublime Firestone Walker Stickee Monkee quad. Big Beer Night indeed. 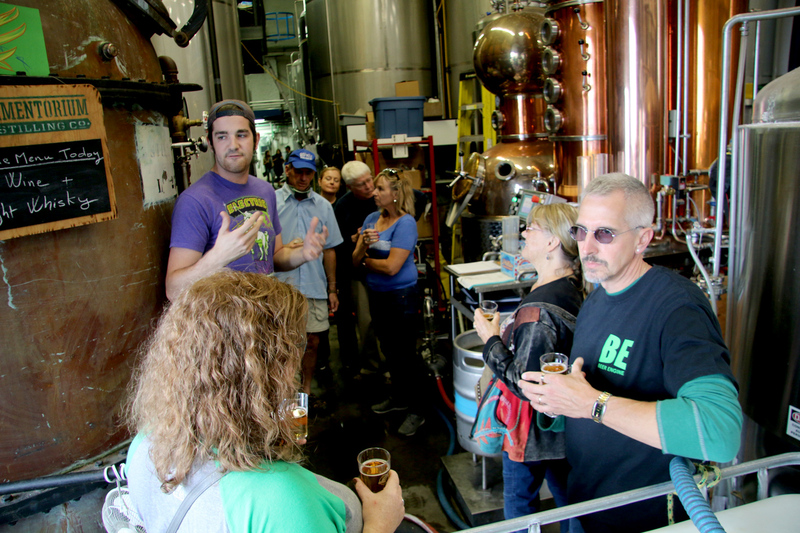 Our Brews Cruise 2017 had come to an end, but some great relationships had been made, and most people had a new appreciation for the depth and breadth of the beer world. Most of us gathered for dinner, as we did every night, at the ship’s three-floor dining room to accompany our meal with either more beer (!) or wine and cocktails. On Thursday morning, we arrived in the charmingly British enclave of Victoria, the provincial capital of British Columbia, for a bus tour of local breweries. This was yet other highlight of the trip. 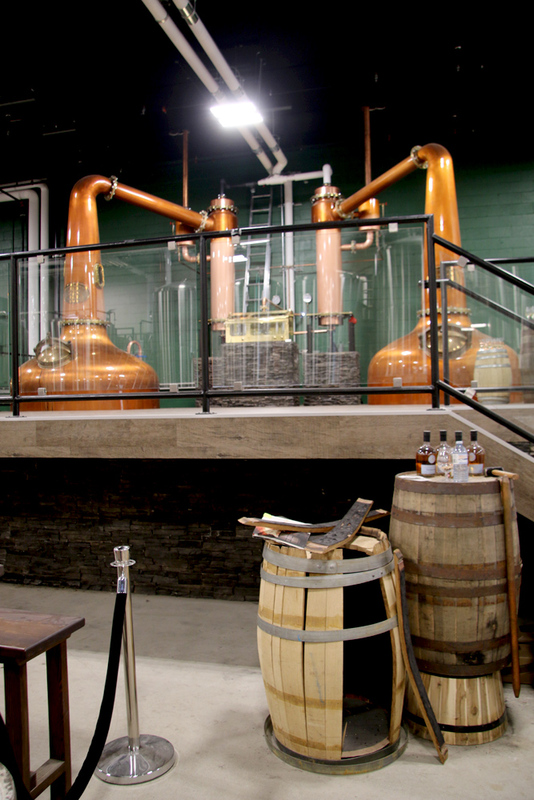 After a short tour of the town, including the Parliament Buildings and the fabled Empress hotel, we visited the Caledonian Brewery & Distillery for a tour and tasting of the beers (excellent) and spirits in progress. Our next stop was Phillips Brewing Company, which continues to expand and is now one of the largest breweries in the province. Our final stop brought us to a tasting with bites at the Canoe Club on the water. A short walk down the hill was Swans Hotel & Brewpub, and across the street was The Drake Eatery, with over 30 taps of mostly British Columbia beers. A great way to end our tour. Back on board the ship, we gathered one last time at our Conference Center to try our best to drink up the rest of the beer. This group was up to the challenge. The next morning, we woke up in Seattle, rested and ready to disembark. 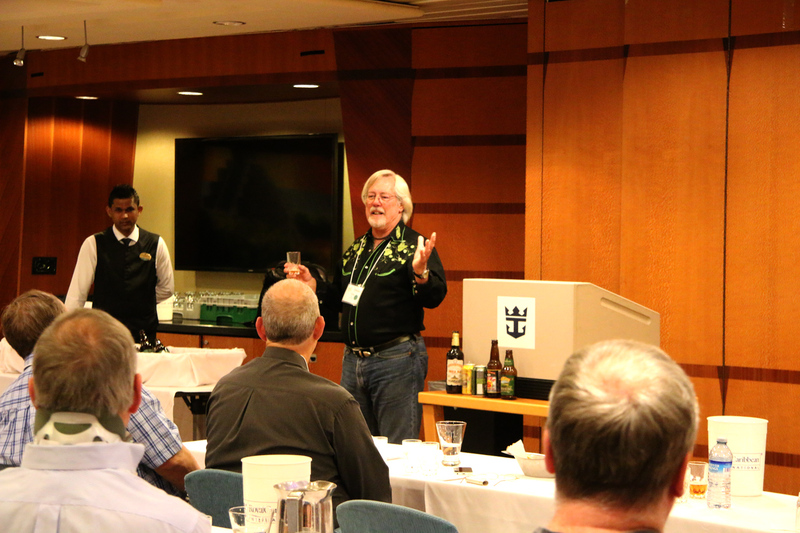 Our Brews Cruise 2017 had come to an end, but some great relationships had been made, and most people had a new appreciation for the depth and breadth of the beer world. Hopefully, this interest will continue. Stay tuned for information on our next Brews Cruise or check magichappens.com.